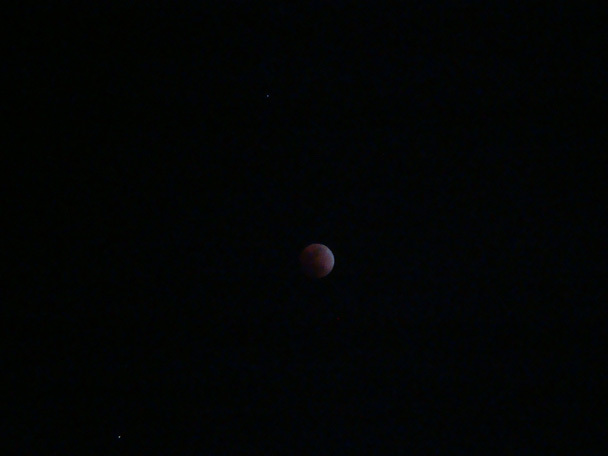 New Moon On Monday | Yobot Inc.
Last week , we were able to witness the Lunar Eclipse – pretty amazing. My little camera doesn’t do it justice. If you missed it, because it was cloudy where you are, or because you don’t live in North America, or because you’re one of those eclipse-haters, I am sad to report that it won’t happen again until December 2010. There’s nothing more incredible than a full eclipse of the moon. I loved it. It was super cold in the Chicago-land area, so we could only stay outside for about 10 minutes at a time. But every minute was worth it.